EASTON, PA – "I do not consider a sale complete until the customer is satisfied," says Famous Smoke Shop CEO Arthur Zaretsky, who took over the modest New York City cigar store that his parents' established in 1939. Now located in Easton, PA, today Famous Smoke Shop is the leading online distributor of discounted premium cigars, specializing in offering the web’s widest selection of cigars at the lowest prices. Several thousand miles away, in Nicaragua, Jorge Padrón has been carrying on his family's primary mission: making cigars of "exceptional quality," while striving to give cigar smokers "the confidence that each cigar is perfect," as his father has done since 1964. In celebrating over seven decades of quality and integrity, these two second-generation cigar men have collaborated on the release of an exclusive, limited edition Padrón cigar – the Famous 75th Padrón Anniversary cigar. 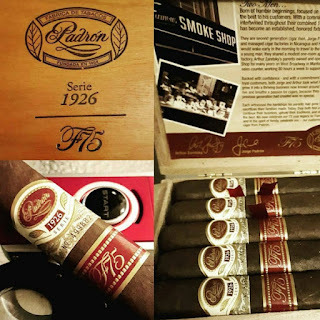 Famous 75th Padrón 1926 Series cigars are made in one size, a 5" x 54 box-pressed robusto rolled in two wrapper choices – Nicaraguan Habano natural or Nicaraguan Habano maduro. Presented in boxes of 10 cigars, these puros are exquisitely handcrafted with 5-year-aged Nicaraguan tobaccos offering a smooth, creamy, well-balanced smoke brimming with Padrón's signature earthy-spicy, full-bodied flavor profile. Only 3,000 boxes have been made, and like all Padrón Cigars, they will have individual, serial-numbered cigar bands. Arthur and Jorge, both born of humble beginnings, both focused on providing the best to their customers; throughout their combined 115 year history they have built companies that today are honored fixtures of the cigar world, respectively. Jorge's father, Orlando, owned and managed cigar factories in Nicaragua and Honduras. Like the progeny of many tobacco growing, cigar making families, Jorge worked closely with his father since childhood, traveling with him daily to the office, learning every aspect of the cigar business. Likewise, Arthur Zaretsky learned the retail side of the business from his parents, David and Rose, who owned the original Famous Smoke Shop on West Broadway in Manhattan. Virtually living behind the sales counter, Arthur worked 80 hours a week to support the family business. After his father passed-away, Arthur continued to work with Rose, whom the customers affectionately called "Rosie." While Rosie took care of the customers, Arthur began building the little cigar store into a thriving direct mail business from their new location on West 39th Street. Living and breathing a passion for cigars, Arthur and Jorge have come to recognize and appreciate what their families have created. 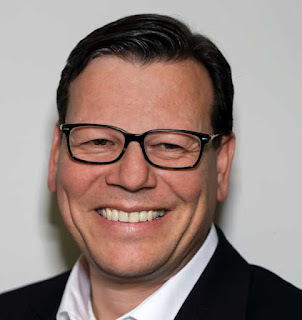 Backed with confidence and a commitment to quality and customer satisfaction, both men took what their families had built and grew them into prosperous internationally-renowned businesses. "Both Jorge and I owe a lot to our parents and the values they taught us," said Mr. Zaretsky. 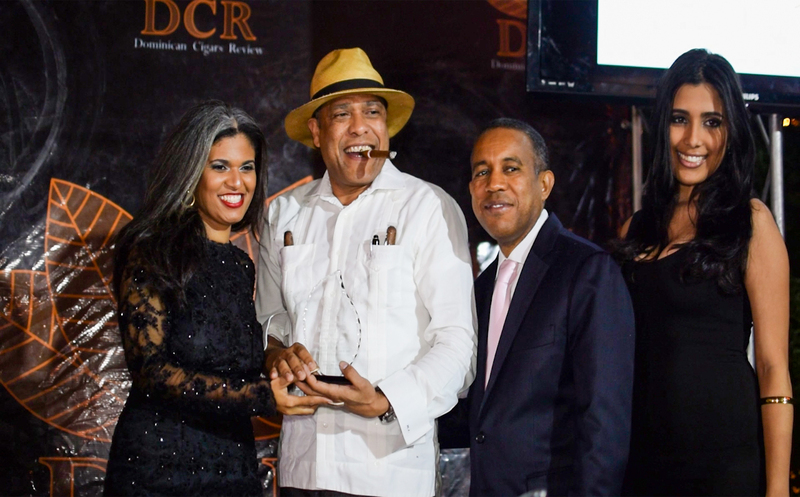 "So, in celebrating our 75 year legacy as Famous Smoke Shop, and in the spirit of family, we celebrate you – our customer – with this special cigar from Padrón." Fort Lauderdale, FL - Gurkha Cigars has completed the line of Cellar Reserves with the new release of the Cellar Reserve Platinum cigar. With each of these releases, the Cellar Reserve family of cigars has been one success story after another. "When developing the new Cellar Reserve Platinum, our idea was to provide a rich and complex smoking experience for the consumer," said Juan Lopez, National Sales Director and in-house blender. "Due to the enormous success we've had with the Cellar Reserve lines made in the Dominican Republic, we felt that it only makes sense to expand the flavor profile by adding aged Nicaraguan tobaccos." 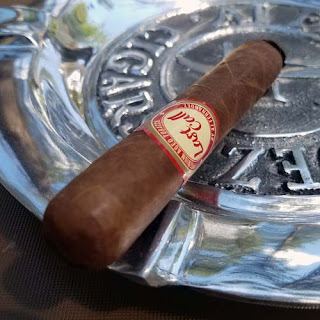 The Cellar Reserve Platinum is a blend of 12-year-old tobaccos in the filler and is the first of the Cellar Reserve cigars to use Nicaraguan tobacco. It was just released this summer at the IPCPR trade show in New Orleans to rave reviews and ships to retailers this month! It comes in three sizes: Hedonism (6 x 58), Kraken (6 x 60) and Solara (5 x 58) and retails for $7.99 to $9.99 per stick or $200 for a box of 20 cigars. The history of the Cellar Reserve family begins in 2007 with the release of the original Cellar Reserve cigar. It grew with so much success that Gurkha's founder and CEO Kaizad Hansotia decided to expand the line. "When we were introducing our 'brick and mortar' brands, we wanted something that was going to stand out in the marketplace," said Hansotia. 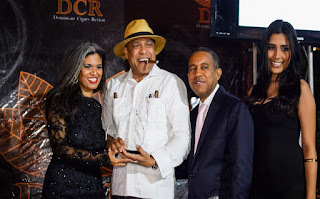 "We created the original Cellar Reserve to be an all Dominican cigar. It sold incredibly well, so we made a second cigar that we launched in 2012. 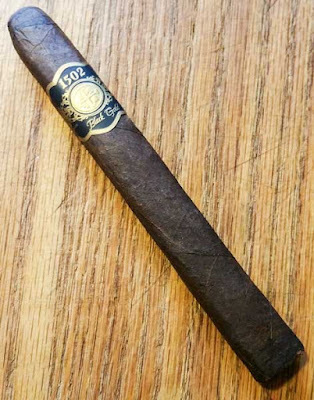 We called it the Cellar Reserve Limitada and it features a Maduro wrapper. In 2014, we modified the cigar again and introduced the Cellar Reserve Edicion Especial. That cigar is made with 18-year aged tobacco and a Corojo wrapper. Finally this year, we decided to bring the blend to Nicaragua and created our first 12-year aged Cellar Reserve from that country and launched the Cellar Reserve Platinum! The entire family of Cellar Reserves are tapered with a pigtail at the cap that has become a signature of the brand." Despite the Cellar Reserve cigars being in one family, each has a different flavor profile. 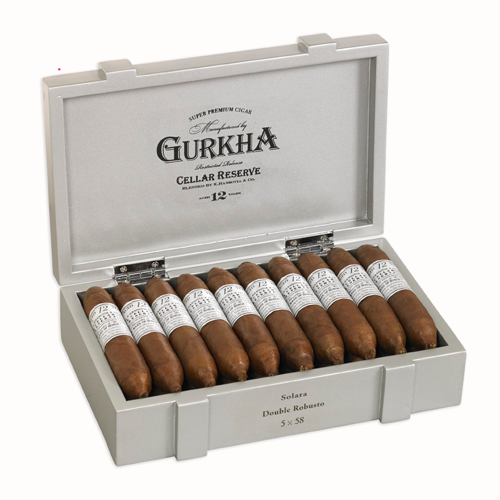 The vintage Gurkha Cellar Reserve uses the finest quality 15-year-old aged tobacco, an oily Criollo 1998 wrapper and 15-year old Dominican filler. 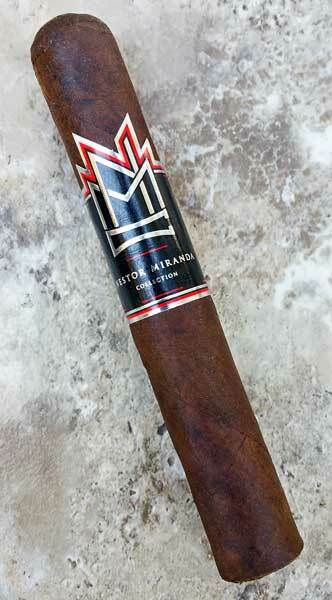 It's rated a 97 and named Top 10 Cigar of the Year. The Gurkha Cellar Reserve Limitada is a rich and robust cigar using the finest quality 15-year aged tobacco with a Brazilian Arapiraca Maduro wrapper. It has a 90 rating. And the Gurkha Cellar Reserve Edicion Especial has a Corojo wrapper and 18-year aged tobacco. It rated a 93. Gurkha produces eight million cigars per year that are sold in more than 28 countries worldwide. They have an impressive array 48 brands of flawlessly handcrafted, premium cigars in a variety of strengths, tasting profiles, and price-points. No matter what your taste, there's a Gurkha cigar that's perfect for your palate. And each Gurkha brand has its own artistically created packaging further separating that brand from any other. For additional information, visit www.gurkhacigars.com. A while back I had the opportunity to review The Belvedere™ E-cigars from Smart Smoke® and found them to be high quality, top of the line products. Here are the links to the original reviews; The Belvedere™ and The Belvedere™ Slim. Today we look at newest models in the Smart Smoke® e-cgiar line, The Belvedere™ Flavor. The Belvedere™ is now available in six flavors: original (cigar), cherry, grape, honey, huckleberry and vanilla. I've now had the opportunity to review five of the six. Cherry - bright, sweet and mouthwatering, much like a cherry lifesaver. Grape - soft, subtle and fruity notes with a long semi-sweet aftertaste. 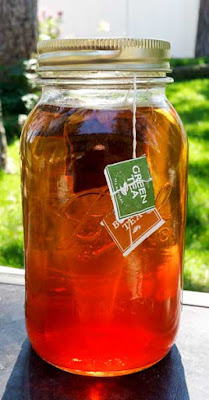 Honey - nice notes of honey, sweet but not too sweet, with a pleasant lingering aftertaste. Vanilla - light, creamy and sweet with a warm glowing aftertaste. If you've been reading my past reviews, you know I'm not really a fan of flavored cigars. 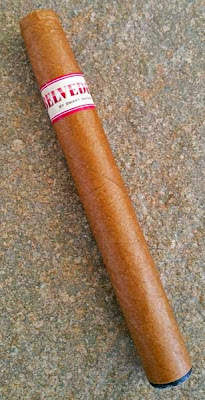 However, after testing The Belvedere™ Flavor Smart Smoke® E-Cigar, I must admit these e-cigars are pretty darn tasty. Let's recap a bit and talk about the overall construction. Looking at the Belvedere™ E-cigar from Smart Smoke® it has the appearance of "just another e-cigar" but, it's far from it. Inside the Belvedere™ there are soft and subtle features that make it the cream of the crop. On the outside it looks just like many of the other e-cigars that are flooding the market. It weighs in at, a slightly foot heavy, 1.7 ounces and it measures about 6" x 46 ring. The durable wrapper is printed with a tobacco leaf pattern and it's rolled on tightly full length, However the key difference in the Belvedere™ is the bite area. The head of this e-cigar looks like all the rest, but it's not. The Belvedere™ has much softer bite area providing a more realistic "cigar-like" experience. While the flavors are excellent and the construction is top notch, for me, the highlight of the Belvedere™ is vapor production. I can tell you, these e-cigars really pump out a high volume of vapor. For my puffing style this model produces more vapor than any other e-product I've tested. The Belvedere™ Flavor Smart Smoke® E-Cigar sells on smartsmoke.com for $14.99 with free shipping. Hop on over to their site and check them out!! Famous Smoke Shop is a leading online distributor of discounted premium cigars. The company specializes in offering the web’s widest selection of cigars at the lowest prices. 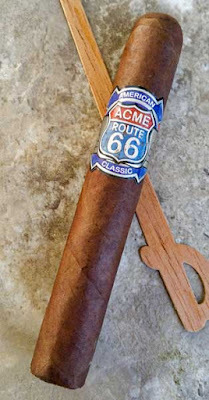 Famous has just released #Famous to their repertoire of exclusive cigars available at www.famous-smoke.com . In conjunction with this release a detailed video review on their new cigar #Famous is offered in association with their digital cigar and men’s lifestyle magazine Cigar Advisor. [Click Here for Video Review] Cigar Advisor is an online cigar magazine that brings a fresh, irreverent, and down-to-earth perspective on all things cigars to thousands of smokers. In addition to educational cigar content and behind-the-scenes cigar industry articles from some of the business’s top names, Cigar Advisor delivers an array of content about a variety of topics of interest to people who enjoy the cigar lifestyle. #Famous has been a highly anticipated release in the cigar industry due to its immense flavor and nearly flawless construction. 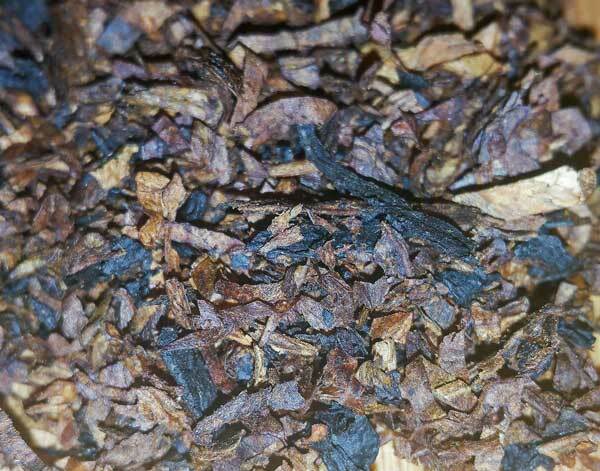 This line has been blended by Nestor Plasencia and rolled in his factory in Nicaragua using a flavorful and semi-spicy Nicaraguan wrapper along with a mild blend of filler tobaccos to mellow the smoking experience out while still maintaining a taste that appeals to mild to full bodied smokers alike. #Famous cigars are now available at Famous Smoke Shop, and is packaged in innovative humidification jars with the 4 x 38 Petite Corona vitola coming in a jar of 36 cigars, and a 6 x 50 Toro vitola coming in jars of 19. The individual MSRP on the Petite Corona is $2.28 and the MSRP on the Toro vitola is 4.14. People interested in learning more about #Famous Cigars or Famous Smoke Shop should visit Famous-Smoke.com or call 800-564-2486. For those interested in learning more about Cigar Advisor, log on to www.cigaradvisor.com. The group known for their fundraising activities, hosts event October 3oth for a great cause. 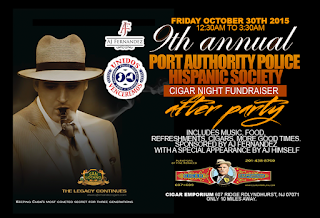 (Miami, Florida) October 15, 2015— The 9th Annual Port Authority Police Society Cigar Night, taking place on Friday October 30, 2015, brings together consumers, manufacturers, and personalities of the cigar industry for a great cause. Event to take place at the Graycliff Banquet Hall 122 Moonachie Ave Moonachie, NJ 07074 from 8PM to Midnight. This year’s event will feature a welcome cocktail hour, courtesy of La Hoja Cigars, four-course dinner, and live music. Event goers will receive over 20 cigars, courtesy of the 30 plus cigar sponsors. Guests will have the opportunity to dine, smoke, and mingle, with “cigar royalty”. Proceeds from tickets sales will benefit PAPHSINC and their humanitarian endeavors locally and abroad. The overall goal is to change the lives of children, who suffer social and economic difficulties. Some of the work they do include: working closely with the Boys and Girls Club of America, with programs to prep young students for the SAT’s. Funds are also used to sponsor inner city little leagues, field trips and, they also provide a yearly scholarship to a community college for a young adult in the field of criminal justice. From helping to build homes or paying a teacher’s salary for an entire year in the Dominican Republic, the overriding goal of the PAPHSINC is to change a Child's future and aiding them to rise above the challenges they were born into. For media inquiries: please contact Creativas Group Public Relations via: info@creativasgroup.com. (Miami, Florida) October 13, 2015— A.J. 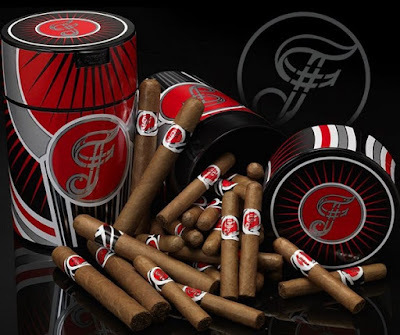 Fernandez, known for consistently producing highly rated and sought after cigars, is scheduled to represent his brand at the 6th annual Tampa Cigar Bash presented by Tampa Humidor, this October 24th, 2015. 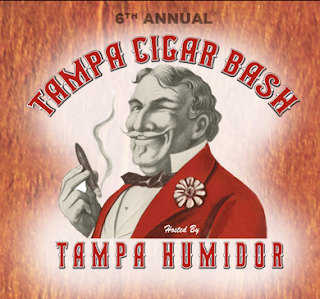 The Tampa Bash is one of the premier multivendor events which yearly attract over 600 event goers. A.J. Fernandez Cigars exploded on to the scene with the popular and innovative San Lotano Oval. A.J Fernandez later introduced New World which attained the 2014 Number 1 Cigar of the year by the expert tasting panel at Cigar Journal. A.J. Fernandez recently unveiled his newest creation, Enclave, at the 2015 IPCPR in New Orleans. October 5, 2015- La Aurora, the original factory in the Dominican Republic, and Padilla Cigars have finally signed an amicable agreement in which La Aurora will allow Padilla Cigars to use an alternate version of their current logo, "to reflect a sufficiently abstract version of a lion design to avoid confusion in the market place and make a separate commercial impression in the minds of the consumer". Padilla Cigars agrees to abandon an existing US Trademark Registration with La Aurora’s consent. The agreement states that Padilla Cigars may use an abstract lion to prevent consumer confusion now and for all releases in the future. La Aurora will allow Padilla cigars the right to sell out of their remaining inventory of non-tobacco materials with the commitment from Padilla Cigars to not go back to the old design. La Aurora also agrees not to go against any third parties who may purchase these products during the sell off period. La Aurora is exclusively distributed in the U.S.A. by Miami Cigar & Co. This holiday season we will once again be racking our brain for that one gift that "WOWS" our friends and loved ones and leaves others thinking "Why didn't I think of that?!" That gift is definitely a Gurkha Cigars Gift Set. Gurkha Cigars, the company known for crafting the most expensive cigars in the world not only make cigars for diverse pallets but also for diverse budgets. With gift sets that range from $33 to $30,000 there is an option available for every cigar lover in your life. Gurkha is not only recognized for the quality of their cigar but for their ornate and embellished boxes and packaging. When someone purchases a Gurkha box they have something they want to keep forever and hand down for generations. They are all unique and beautiful. Just look at some of the examples below. Thanks so much for your consideration and make it a great day! 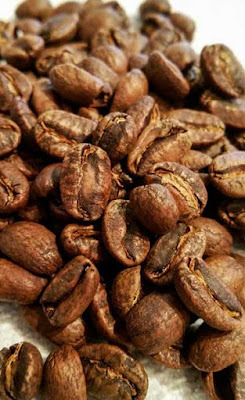 From the bag the Geisha supplied prominent notes of coffee and sweet tangerine. Once ground the aroma was reminiscent of sweet, yet tart Meyer lemon. 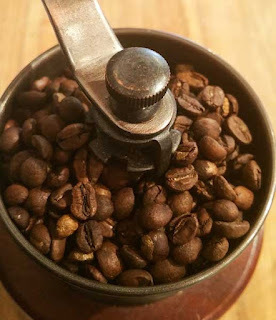 The pour-over created yet another shift in the aroma that reminded me of raspberry jam. Extraction on this pour-over was perfect. 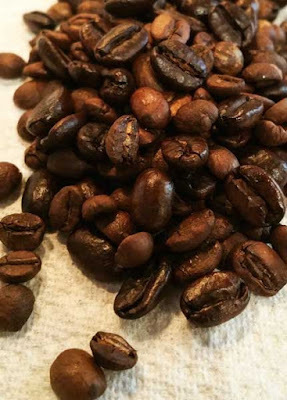 The first sips of Carmen Geisha Panama were bright, clean and full of life, with a cleansing palate wash. As the coffee cooled, a light syrupiness developed, yet it still had the same mouthwatering effect across the palate and a lingering sweet aftertaste. The first hot sips had amazing notes of sweet tree fruit with light notes of clean citrus, like a mix of plum, tangerine and lemon. As the coffee cooled a touch of warm spice and a hint toast developed. Overall this Bean Box sample of Carmen Geisha Panama From Kuma Coffee was strictly "top shelf". With a fantastic mouthfeel and delightful flavors it's one of the finest coffees I've had the opportunity to sample. 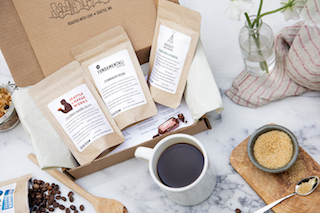 Check out Bean Box they offer some of the best coffee's I've ever sipped delivered right to your door every month! Fort Lauderdale, FL - In keeping with consumer demand, Gurkha Cigars, known internationally as much for their super premium luxury cigars as well as for their innovation, has created their first Lancero-sized cigar in The Classic Cigar: Havana Blend. "Gurkha Cigars has a reputation for out-of-the-box thinking," said National Sales Manager Juan Lopez. "We follow the market closely and listen to what consumers and our clientele are asking for. The Classic Cigar: Havana Blend Lancero fulfills that demand." The Classic Cigar: Havana Blend created by Lopez and CEO Kaizad Hansotia is part of the company's East India Trading Company line. "After a few years of searching for the right wrapper and combination of tobaccos, we created this beautiful Nicaraguan masterpiece," said Hansotia. It has a Mexican San Andres wrapper over Nicaraguan binder and fillers. 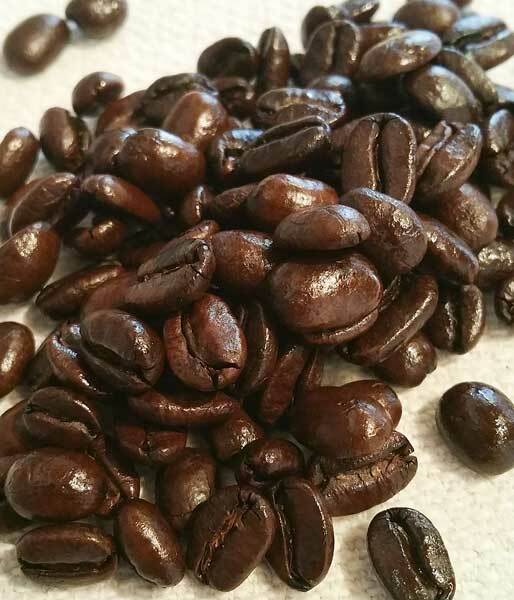 It's medium bodied and full flavored with earthy, nutty undertones. It retails for $8 a stick. "You can really taste the San Andres wrapper," said Lopez. 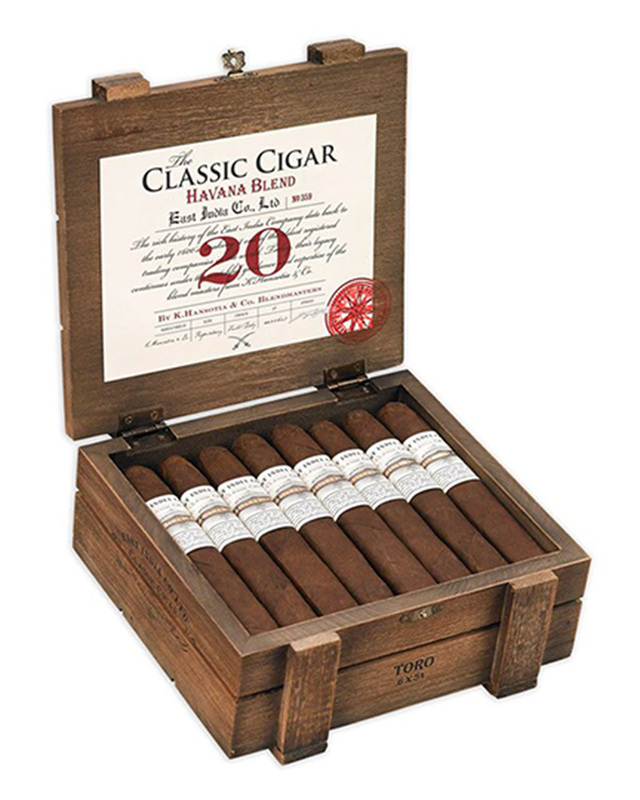 "The Classic Cigar: Havana Blend is a cigar worthy of its name. And it has already received a rating of 93! We are very proud at how well this cigar has been received and also at how well our entire East India Trading Company line has grown." In creating the East India line Hansotia added "The goal at Gurkha is to always to make a cigar for every palate without sacrificing quality. 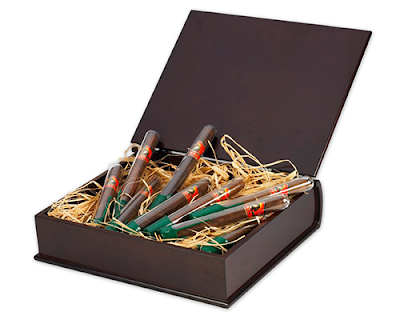 We want every consumer satisfied with what he or she finds when smoking a Gurkha cigar." Today Gurkha produces eight million cigars per year. They are sold in more than 50 countries worldwide. Each Gurkha cigar provides a luxurious experience different from the last. Housed in a beautifully appointed facility in South Florida, Gurkha has core brands, limited edition brands, super premium luxury brands and an entire line of innovative and affordable brands through its East India Trading Company line. Steeped in legend and rich in history, Gurkha Cigars were named after Nepalese warriors whose bravery impressed the British soldiers. The company was purchased by Kaizad Hansotia in 1989 for all of $149 with the intention of giving the cigars as unique gifts to customers of his family's watch business. The cigars were such a big hit that Hansotia realized he was on to something. He began to expand the line into what it has become today, one of the most famous brands of cigars in the world.